There is a growing consensus that the learning principles as stated by the Learning in Afterschool & Summer project are critical features of effective learning environments. As a result, there are a growing number of resources that help practitioners go from theory to practice in designing activities that align with these learning principles. Occasionally we will attempt to identify these resources as they become available, knowing that we can't possibly keep up with every resource that is released. Recently, Edutopia offered a set of resources focused on learning that is collaborative. While many of these resources have been developed by an elite college prep high school in the East Bay, we believe there's much that could be mined that would help afterschool practitioners as well. These resources can be found here. Samantha Tran of Children Now and a member of our LIAS Work Group, recommended a publication entitled Work-Based Learning in Linked Learning: Definitions, Outcomes, and Quality Criteria, which defines work-based learning as a continuum of work-based learning experiences that stretches from kindergarten into adulthood. Stated most simply, the stages of work-based learning can be described as: Learning ABOUT work; Learning THROUGH work; Learning FOR work. This approach aligns well with learning that is active, meaningful, supports mastery, and expands horizons. Samantha also recommended Guide to Work-Based Learning: A Continuum of Activities and Experience. 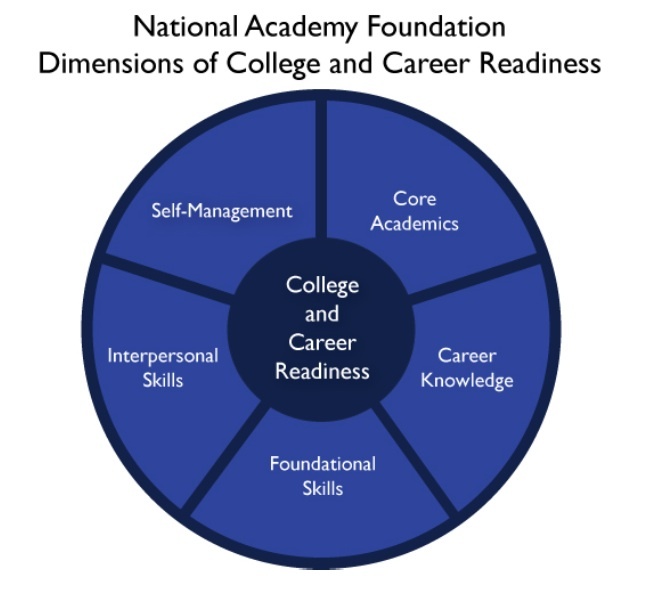 This resource was developed by the National Academy Foundation (NAF). They write, "After extensive discussions with business and post-secondary leaders, partner organizations and digesting the still growing policy and research literature on this topic, NAF has settled on a definition of college and career readiness to guide its efforts to help students pursue their career and life goals. 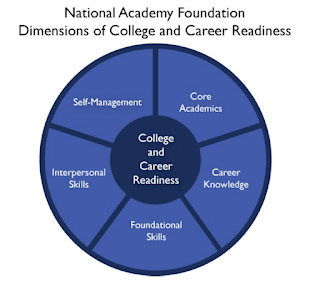 Utilizing this definition, NAF has aligned its work-based learning activities and outcomes with our curriculum and recommended programs of study to ensure students are prepared to demonstrate the skills and attributes necessary to be college and career ready." This publication would be most useful to those serving older youth, grades 9 - 12. Another important and useful resource is a webinar sponsored by ASCD entitled Ask Dr Judy: The Essential Neuroscience of Learning. Copies of the PowerPoint slides are available here and here as handouts. And check out this radio podcast of This American Life program entitled Back to School. It offers conversations with Paul Tough, James Heckman, and others on issues that effect and promote or deter learning. According to the Greater Good Science Center out of UC Berkeley, it’s a scientific fact that practicing gratitude makes us happier, healthier people. 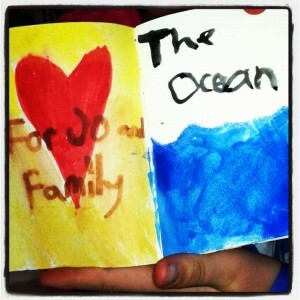 Then we got to work making our very own Gratitude Journals. Simple. Tiny books. Girls love to fill them with sketches, lists, poems, watercolor, stickers- whatever they can get their hands on. And the focus is gratitude, or as I tell the littlest girls if they look confused, “parts of life that make you feel happy.” I asked the girls to choose a special place where they could keep these journals and come work in them when they need to use their power of gratitude. One 4th grader decided to tape hers to the back of her frog’s cage. Whatever works! Go forth and be grateful. Check out a few tips from parenting expert and Go Girls! mom, Christine Carter on practicing gratitude at home with your kids. 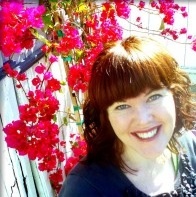 Allison Kenny is the co-founder/owner of Glitter & Razz and serves as the Chief Officer of People & Programs. She has spent a good part of her life leading and participating in creative and community-based activities focused on personal transformation. Growing up in Phoenix, AZ as the dramatic and extroverted one in a house with 3 other sisters, she built her values through active engagement in softball teams, theater productions, show choir, and youth ministry programs. She was a natural leader from a young age who was particularly influenced by her role in WomanStory, a Phoenix-based organization that supports the spiritual and emotional development of women and girls in intergenerational, arts-based camps and retreats. To this day, she has a personal mission to create healing spaces for women. Much is being made these days about character. Especially those virtues of character related to grit, perseverance and all manner of a person’s capacity to persist and endure. Educators across the country are making waves in schools and school districts on the heels of the release of How Children Succeed: Grit, Curiosity, and the Hidden Power of Character by Paul Tough. Tough is a writer for the N.Y. Times who wrote an article last year presaging the publication of his book. Pulling together findings from various fields, Tough makes the case that there are traits beyond cognitive ability, namely perseverance, resiliency and optimism, necessary for academic success. Even before his book was released, I could see the tides rising. Last year I wrote an article for Park Central asking to what extent the development of character was the province of a school, using as examples Tough’s description of schools in New York which have embarked on efforts to make character development essential to their mission. Angela Duckworth, a professor at the University of Pennsylvania is featured prominently in Tough’s book (see her 2009 TEDtalk on the subject of Grit here). Duckworth’s research focuses on hundreds of subjects who had achieved measurable success, and revealed that the most successful individuals have in common character traits such as perseverance, grit, and diligence. More than intelligence or talent, in study after study these attributes demonstrated that the “grittier” a person is, the more he or she is likely to succeed. Both Tough and Duckworth make the distinction between two categories of character: moral character and performance character. Moral character embodies ethical values like fairness, generosity, compassion and integrity, while performance character refers to values such as effort, diligence, and grit. So, what is grit? 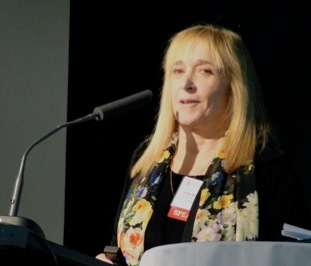 In her tool measuring this attribute in children and adults, Duckworth looks at a person’s reaction to very difficult or challenging tasks; how does one respond to failure? Does one have the capacity to stick with projects that require perseverance and hard work? Grit is a measurement of how one endures and pushes through obstacles in pursuit of a goal or passion. It’s no surprise if you are asking (as I have been), “so, how can we teach grit?” Are there teacher parenting or educational strategies that seem to foster these virtues in our children? In his book, Tough illustrates that the most important factors in a child’s early life are close, loving, nurturing, and attached relationships with a parent (or guardian). Ironically, the need to pull back becomes vital as the children grow. Resisting the temptation to intervene, we need to allow children to stumble and fall, experience failure, have lots of frustrations and disappointments, then to dust off and carry on, learning something about themselves in the process. Progressive educators have resonated strongly with Tough’s premise and the recent research in the measurement of student success. We understand the need to partner with parents in the challenging task of child rearing. Weighing on us is the tension between wanting to pave the way for children and allowing them to experience disappointment and failure. As parents, we can feel it viscerally – the pain of failure – we want to fix it or make it better. This tendency is quintessential to parenting. Teachers also face this struggle. In part, the teaching of character arises situation by situation. I spoke recently with a parent whose daughter had “hit a wall” while trying to learn a new skill. Though she wanted to quit, he pushed her to stick with it and she finally succeeded in learning the process. It was difficult for him to watch her angst and resistance. Similarly, I recently observed a teacher who insisted that two students who were involved in a conflict sit as long as necessary for them to resolve their issue. I saw the students’ transition from a fevered pitch of anger and venom to a reasonable place of calm and measured discussion and problem solving. In these situations, had it not been for the parent and the teacher, the players would have walked away from an important learning opportunity. I recommend that folks read Paul Tough’s book. It has spawned countless blogs and commentary such as this. The book validates our mission of holding children’s social and emotional development, and brings into relief the importance of encouraging the development of their character. These virtues are important to their success as students, but equally to their success at life. Tom Little was a founding teacher at Park Day School in 1976, and taught for ten years before becoming the Director in 1986. He earned his Masters Degree in Educational Leadership at Teachers College, Columbia, at the Klingenstein Leadership Academy. In 2001, Tom was awarded a Klingenstein Visiting Heads Fellowship. From 1997-2003, he served as the Private School Representative on the Mayor's Oakland Education Cabinet. He currently serves on the Board of Directors for the Oakland Academic Stars, an organization providing college scholarships for public school students in Oakland. Tom is also on the Board of Wingspan, a national organization sponsoring public and private school partnerships. He serves on the Board of the Progressive Education Network, a national organization of educators working to advance progressive educational practices throughout the United States. Tom has consulted on educational matters with public and private schools in the Bay Area and in Ireland. He and his wife, Elizabeth, have two grown children, both of whom are Park Day School graduates, Courtney ('93) and Matthew ('00). Many of us know the importance of building youth-adult partnerships and involving youth as leaders in our programs, but we also know that this view is not widely held and little is written about how exactly to do this. Clearly, many of our discussions are absent of youth voice in helping us guide this work. Eric Gurna of Development Without Limits moderated an impressive panel of youth who talked about building youth and adult partnerships at the elementary, middle, and high school levels. 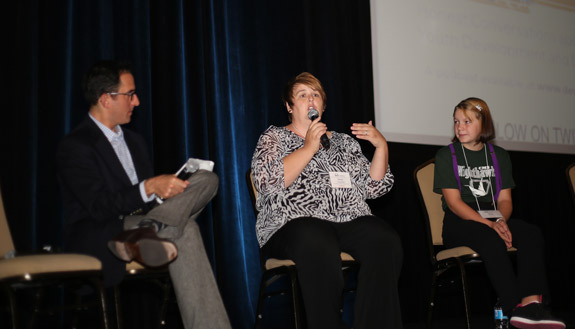 This session was conducted at the recent School's Out Bridge conference in Seattle, WA. 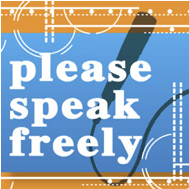 Development Without Limits provides an audio tape of this session in their series entitled Please Speak Freely. We were very inspired by what we heard and urge adult and youth leaders within afterschool programs to give this a listen. The session is entitled Empowering Youth Voice, Live From the Bridge Conference 2012. Click here to listen or download the presentation. The podcast is also available on iTunes. Eric Gurna is the founder and Executive Director of Development Without Limits. He sets the overall vision for the organization's work, develops and guides new projects, and represents Development Without Limits in the national education and youth development arena. Eric designs and facilitates staff development, curriculum, and other resources for community organizations and schools on topics including youth development, experiential learning, literacy, leadership, communication, and organizational development. In addition, he designs and directs youth programs, including Project Unity, an internship program during which teenagers create and perform plays based on their own experiences and ideas. Harnessing intermediaries, relationships, and networks is key to connecting research and practice. Practitioner-friendly, evidence-based measures of program practices are powerful tools for improving practice. We urge readers to read both the essay and the letter, authored by Mr. Granger. The essay can be downloaded from the letter. Below we offer a brief interview with him. Q: Your first lesson you cite in your “Letter from the President”, you talk about the importance of collaboration between practitioners and researchers. Can you explain what you mean by this and give an example, if you have one? A: The conventional model of researchers producing findings and then disseminating them to practitioners creates a weak connection between research and practice. Too often the information is not relevant or accessible. One potential fix is to make the relationship between researchers and practitioners much more of a two-way street where each affects the other. An approach with a lot of potential is to have practitioners identify a persistent problem and then work in an ongoing way with researchers to develop and test solutions. In the after-school field, Charles Smith and colleagues at the David P. Weikart Center for Youth Program Quality are doing this in several locations—Providence , Palm Beach County, and Cleveland are three examples. Here is a link to the Cleveland work. In K–12 education, there are several examples of such partnerships. My colleague Vivian Tseng is leading a learning community of nine of them, and she has written about that work. Q: In your third lesson, you state that examining the quality of youth interactions is important for program improvement. The Learning in Afterschool & Summer project is training high school youth to help assess local after-school programs and their alignment to key learning principles (see #4). Do you think that youth are equipped to assess program quality if they are given the right tools and training? A: This is an interesting idea. I bet the young people would learn a lot about the staff-youth interactions that lead to good results, and I like the emphasis on youth voice. It would also push the tool developers and trainers to be very clear in order to help the youth produce reliable results. That’s got to help make the tools better for adult use, too. In a large study of K–12 teaching, the Bill & Melinda Gates Foundation compared information about the quality of classrooms—which came from student surveys about their experiences in the classrooms—to adult observations of videotapes of the same classrooms. The judgments of the young people and the adult observers were highly correlated—young people, especially middle-school age and up, can report on quality. One caution: I do not think any of this works well if the stakes are too high for the program (e.g., it might get defunded based upon the assessments). Rather, the information is best used by practitioners for program improvement. Q: In the research you funded, conducted by Joseph Durlak and Roger Weissberg, the value of well-implemented programs that promote social-emotional learning is well-documented. The development of non-cognitive skills is also stressed by author Paul Tough and economist James Heckman. Can you speak as to how well after-school programs are positioned to promote the competencies and whether they should focus their attention on them? A: Durlak and Weissberg reviewed the results from evaluations of after-school programs focused on social and emotional development and discovered that the programs that produced positive effects in those areas also produced positive effects on measures of school achievement and engagement. Too often those areas are thought of as an “either/or”. Given their flexibility, after-school programs are in a great position to deliver experiences that can improve “21st century” skills, including persistence, personal responsibility, and good communication. This is why the LIAS principles and similar statements ring so true to after-school staff. But potential is not enough. In the Durlak and Weissberg review, about two-thirds of the programs produced no better results than other activities available in the community. As you noted, the good news came from the one-third of programs that were well-designed and well-implemented. So, our challenge is to make programs better. It’s worth mentioning that the Forum for Youth Investment produced a very good compendium of practical measures of these important, 21st century “soft skills.” Researchers and practitioners should review that publication and use some of the measures in their work. Q: The Learning in Afterschool & Summer project is promoting five learning principles that should, in part, define quality after-school programs. This project stresses that learning should be active, collaborative, and meaningful, while supporting mastery over time and expanding the horizons of participants. Which of these do you think is most important? A: I resist the urge to pull apart the five principles because I do not think it’s necessary for policy or practice. Learning can be all these things at the same time. I know, however, that it is useful to focus. “Meaningful” strikes me as an umbrella under which the others could fit, so it stands out as the most important. For example, “active” learning alone is not important if it is not meaningful, but active learning helps to make learning more meaningful. Q: Recently, five states approved initiatives to increase learning time in school by 300 or more hours. If this trend grows, do you have any advice to ensure that these efforts are effective and how should after-school program leaders be involved? A: I do not think it is possible to ever ensure that changes like this are effective. I would begin in any community by getting a consensus on what problems this change is meant to solve. If it is that students are not achieving or attaining at the desired levels, more time alone is not likely to make a big difference, although it may help some students. The extra time creates the opportunity to reconsider the entire school day. And yes, after-school leaders and others with good ideas should be involved. Q: What do you see as the risks and opportunities facing the after-school movement in the decade ahead? A: All discretionary programs for young people are going to be under increased pressure as my generation retires and the general population ages. Therefore, one risk is not enough funding to provide services. At the same time, more single parents and the increased emphasis on work means the need for safe activities for kids will remain. The challenge is to make those activities as engaging, supportive, and meaningful as possible. Q: Word has it that you are planning to retire soon. Is this true? If so, when are you planning to step down, and what are your plans in the future? A: We announced that I will retire at the end of August 2013, and the Board is actively engaged in a search for my successor. It has been a privilege to work at the William T. Grant Foundation. My wife and I plan to live on Cape Cod in Orleans, Massachusetts. I will continue some ongoing work with a couple of foundations, focused on making research and evaluation more relevant to practice. I also plan to donate time to youth organizations on the Cape. I recently spoke with Bob Haggerty, who was president of the Foundation from 1980 to 1992. Bob advised me not to over-commit and suggested I think about a few more after-lunch naps. I have always thought that Bob Haggerty is a very wise man. Robert Granger has been president of the William T. Grant Foundation since 2003. Before joining the Foundation in 2000 as senior vice president of program, Dr. Granger served as senior vice president of the MDRC and executive vice president at Bank Street College of Education. Dr. Granger also recently chaired the National Board for Education Sciences. This presidentially appointed advisory panel of the Institute of Education Sciences in the U.S. Department of Education oversees federal activities regarding educational research. In addition, Dr. Granger serves on the editorial board for several professional journals. He received his Ed.D. from the University of Massachusetts.